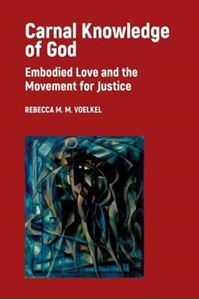 Theologian, pastor and seasoned activist Rebecca Voelkel offers a theological vision of embodied love, informed by her own experience, research, and pastoral and organizing work with gay, lesbian, transgender and gender-queer persons. Theologian, pastor, and seasoned activist Rebecca Voelkel offers a theological vision of embodied love, informed by her own experience, research, and pastoral and organizing work with gay, lesbian, transgender, and gender-queer persons. Voelkel lays out a theological vision interwoven with wisdom from social change movement building, offering principles that will enable allies to work strategically in the coming 'progressive wave'.